August is Cheerful Month! We are celebrating the last moments of summer vacation, with lots of sunshine, happiness, and laughter. In honor of Cheerful Month, we are giving away a FREE Kira doll! All you have to do is LIKE our Facebook page and enter your email on our GIVEAWAY tab. Do you know someone you want to nominate to be a MyFriendHuggles® Ambassador of Cheer? Check out our Facebook page to enter your Cheerful stories. We will also be sharing tips on how to be cheerful, happiness inspiration, and much much more! Being cheerful can make someone’s day. My Friend Huggles Announces its Win Rubi – Character Value Contest Winner! After an abundance of beautiful, heartwarming stories about kind, grateful, fair, generous, honest and cheerful children we have a winner! Congratulations Aaliya, keep up the great work! Thank-you to everyone who sent in submissions, we deeply value our My Friend Huggles community! Please continue to share and interact with us online and stay posted for future contest news! 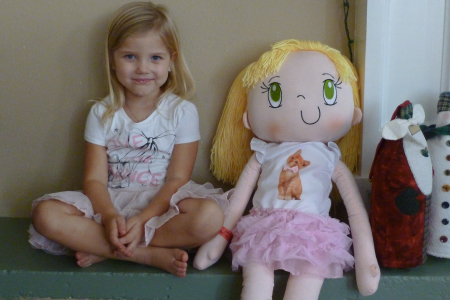 Giveaway Contest: Win a My Friend Huggles Rubi doll! 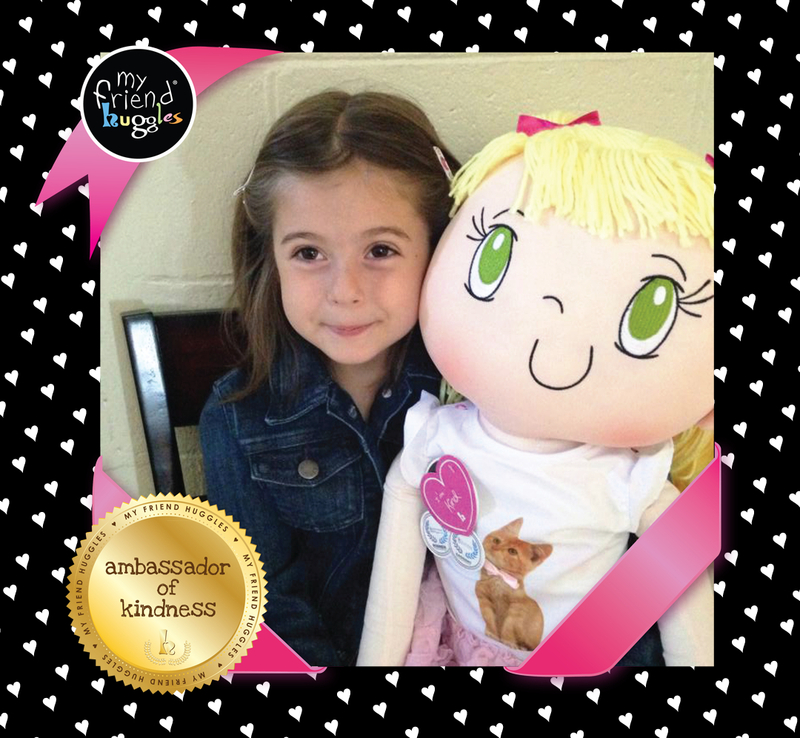 We are giving away one My Friend Huggles Rubi doll to a deserving child. Do you know a child who has been Kind, Grateful, Fair, Generous, Honest or Cheerful? Tell us about it and be entered in a chance to WIN Rubi for that special child. Contest ends January 31, 2013. My Friend Huggles Announces its Character Value Contest Winner! Congratulations Kelsey, keep up the great work! Thank-you to everyone who sent in submissions, we deeply value our My Friend Huggles community! Please continue to share and interact with us online and stay posted for future contest news! With an outpouring of heart felt stories about children’s kind, grateful, fair, generous, honest and cheerful acts, we at My Friend Huggles are overwhelmed and humbled by your children’s accomplishments and perseverance. Parents and care givers, thank you for participating in our contest and sending in stories. On December 18th, picking a winner will be a daunting task! Below are quotes from some of the contest submissions so far. We’ve decided to share these because they send a beautiful message. Sometimes the smallest hearts are the biggest of all. Do you know a child who has been Kind, Grateful, Fair, Generous, Honest or Cheerful? 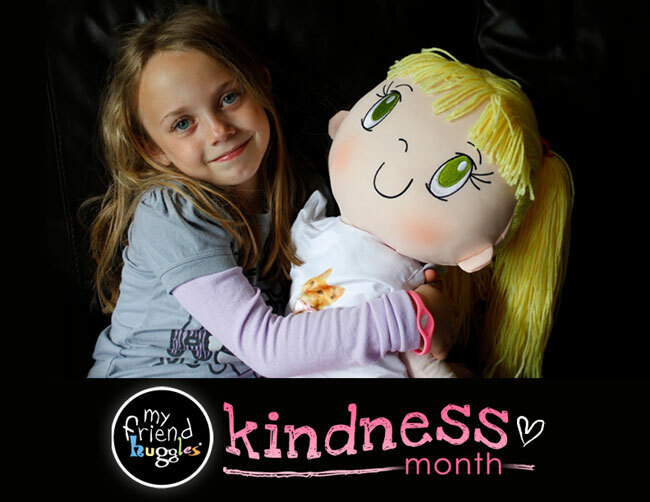 Tell us about it and be entered in a chance to WIN a My Friend Huggles™ Lily doll for that special child.